Arnegui, the Rioja brand made by Pagos del Rey, especially for the on-trade, renew its image for the launch of the 2014 vintage. A new image that reflects character and personality in these wines made according to DOC Rioja quality standards in Pagos del Rey winery, created in 2006. 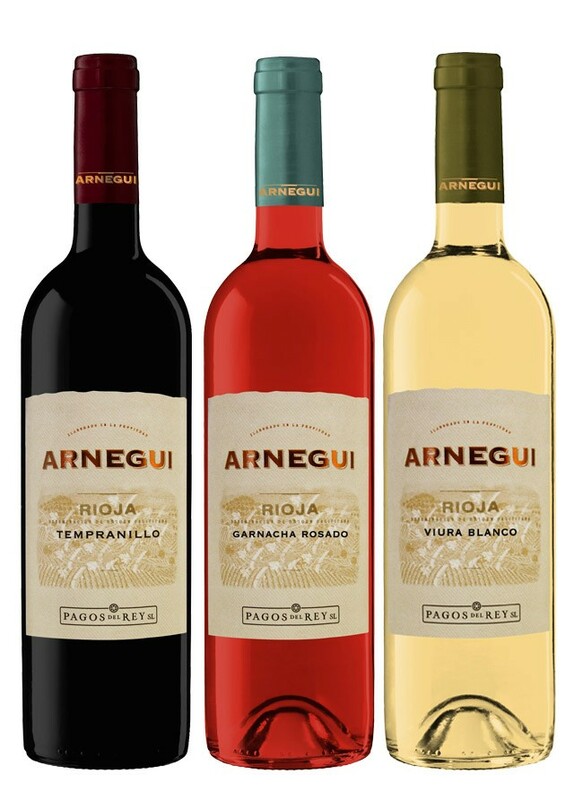 The style of this new label of Arnegui white, red and rosé conveys the family values of quality, innovation and a way to understand vine- growing and wine- making respecting original grape varieties, the terroir and the tradition. With the new presentation, clean and elegant, consumers will undoubtedly identify Rioja current trends. Climate, terroir, fruit, balanced acidity and smooth flavour are the key characteristics of Arnegui, which make of it the ideal partner for a good meal in the best company. Arnegui white, made of 100% viura, will be found very soon in restaurants with the new Presentation and vintage. A white wine that respects viura characterisitics. Brilliant yellow colour, white flower aromas and citric fruit with a subtle note of creamy passion fruit. Silky flavour and nice and long taste. Rosé and red Arnegui will be ready in the restaurants at the end of April. These three wines are completed by a Crianza and Reserva, also under the brand Arnegui; a range that has become many national and international awards in the most prestigious wine competitions that praise the top quality of these wines from Rioja.